At a UBS-hosted competition, teams of graduate students had to use machine learning to identify where the bank should open its next three wealth management branches. Two teams from Stevens tied for first, impressing judges with their unique approaches. While intelligent machines are capable of managing portfolios for investors, Apurva Mehta believes machine learning is about augmenting human advisors, not replacing those wealth managers with robots. “The whole notion of our business is built on trust, and I don’t know how many people today are going to blindly give their entire fortune to a robo-advisor,” said Mehta, chief technology officer and head of architecture at UBS Wealth Management, Americas. 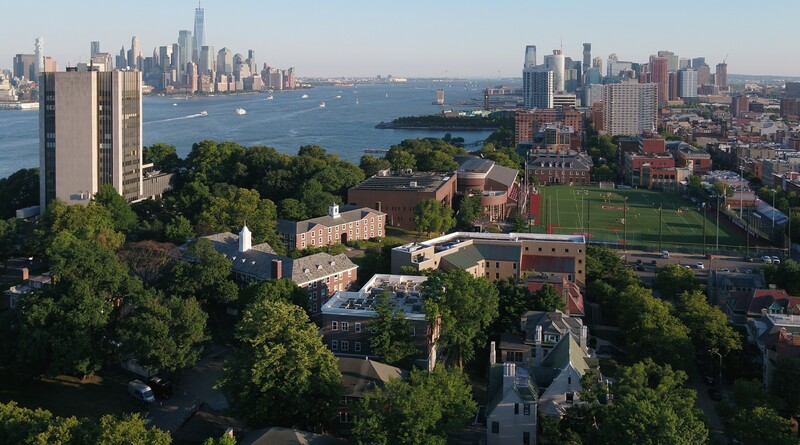 Students at Stevens Institute of Technology, with their mix of technology and business acumen, are uniquely equipped to provide data-driven insights in a finance industry undergoing continual evolution. That education was on display in November, as two teams of graduate students from the School of Business tied for first place at a machine-learning competition hosted by UBS. The Stevens teams topped entries from New York University and New Jersey Institute of Technology, splitting a $6,500 cash prize. Participants used open data sources to build a model to identify where the bank should open its next three wealth management branches. Stevens earned three of the six spots for the final round of presentations, which took place at UBS’ Weehawken office on Nov. 16. Mehta delivered the keynote address while the judging panel deliberated, joking, “After the presentations I’ve seen here today, I don’t think the judges have an easy job, so I’ve really got to speak slowly to buy them some time.” His comments proved prescient as all three Stevens teams earned high praise from the panel, making for a difficult decision. According to Perry Renjen, North American director of securities in the IT division at UBS and creator of UBS Pitch, one of the main goals of the event was identifying and recruiting talented students, which is why competitors also were invited to interview with UBS for jobs and internships on the day of the final round. For competition judge Vasuki Neelagiri, executive director and head of securities operations technology for North America at UBS, the parameters they used to determine the winners are similar to what they look for when hiring employees: technical capabilities and communication skills. “You want someone who can come in and do the job, but you also need someone who can explain what they did,” she said. This combination of abilities helped Team SIT 01 and Team XYFM lay claim to the top spot, showcasing Stevens’ depth of talent and the practical value of cutting-edge curricula that prepare them to apply the latest technologies in creating solutions to real-world business problems. Each team faced the same challenges — UBS gave the competitors a list of the 330 cities where their existing wealth management branches are located, but only hinted at potential indicators used to select these locations. Members of Team XYFM said they emphasized getting their hands dirty with the data, spending nearly three weeks determining what indicators to use. That left them little time to apply the data to their models, but despite the time crunch, they impressed judges by relabeling their data and creating a distance matrix in order to improve their results — something no other team did. Team SIT 01, made up entirely of students in the Business Intelligence & Analytics program, also added an extra layer to their presentation by creating a website that allowed audience members and judges to test their model on the spot. Members of the team attributed their success to the well-rounded nature of the programs at the School of Business. The competition continued Stevens’ relationship with UBS. In addition to recruiting and hiring students for internship and full-time opportunities, the bank last year partnered with Stevens to support education and research projects in finance and financial technology. Mehta also spoke about these advances and their impact at the competition, highlighting what he referred to as “the human aspect of machine learning.” He said teams needed to take the models they built and tie in some amount of intuition.